This entry was posted in Review and tagged 2004, Ewan McGregor, holiday, Lo imposible, Naomi Watts, Oaklee Pendergast, Samuel Joslin, survivor, Thailand, Tom Holland, true story, tsunami. Bookmark the permalink. Awesome! I’m catching this movie tomorrow and this review pumps me up more! 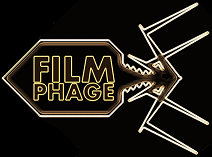 Good stuff Phage! Definitely recommended. Eager to see what you make of it tomorrow then! Honestly thought all the performances were fantastic. There’s been a lot of praise for Naomi Watts, but I think Ewan McGregor definitely deserves some acknowledgement for his role here too. The performances are all good, but that’s just about it. You can definitely feel a bit inspired by these people but not too much, mainly because the way the film gets so obvious and conventional, that it’s almost laughable. Still, an alright movie none the less. Good review. I have the say that the last 15 minutes did take some of the shine off it for me – especially the “nearly found you” game. That was a cheap technique that made it feel like a Benny Hill sketch from the 1980’s, but overall I enjoyed those performances… and my emotions! Great review! Brilliant film, with believable actors, stunning cinematography and basically everything you said! Just wrote my review today! I know there’s been some great films released this year, but I was kind of shocked that The Impossible isn’t up for more Cinematography-based awards. Very peculiar.